If you’re anything like me, your car probably has a few bumps and bruises on the outside. Perhaps a little curb hop skid mark on the rim, a mark on the bumper from your neighbor texting while driving and not paying attention, maybe even a few scratched down the side from the angry overgrown bush down the street. However, the inside is actually pretty nice. Not only does it always smell clean, there is no trash lying around to stink the place up. 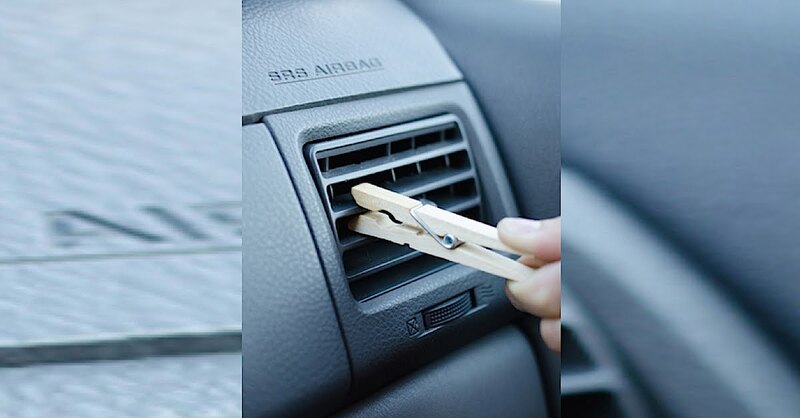 Since not everyone is able to necessarily say the same about the inside of their car, you can make your smell great easily with this DIY air freshener. Originally created by The Heathered Nest as a way to make your house smell fresh, using it in the car works just as great. Plus, the car is usually more of a battle to keep clean and nice. All you need is a clothespin and an essential oil of your choosing, and you’ll be on your way to keeping everything smelling lovely in no time. Check out the video below to learn more and get started today.